The Primo 330 2-N-1 Multi Purpose Round Rack for Kamado by Primo Grills ships factory direct to your door. 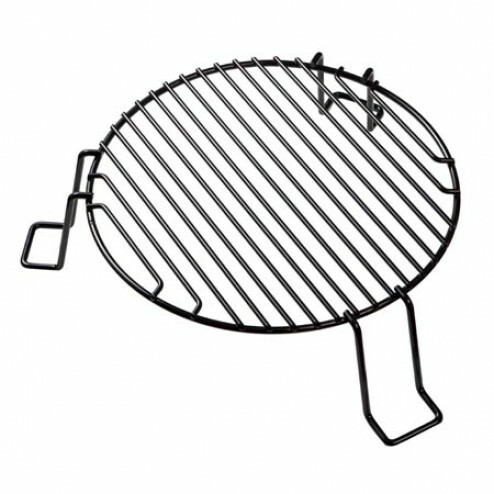 Designed to be used both as an Extended Cooking Rack and Drip Pan Rack (Kamado) and can be used with 13" Pizza Stone for Convection Grilling (Kamado) 2-N-1 Multi Purpose Round Rack, designed to be used both as an extended cooking rack and, when inverted, as a drip pan pack for the Kamado. When inverted and combined with a 13" Primo Pizza Stone (part# 340/350, sold separately), provides true convection grilling.